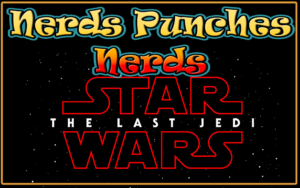 Nerd Punches Nerd | The podcast of merrily violent nerds! 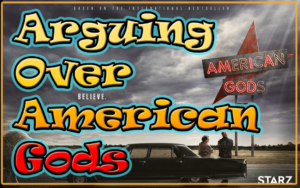 The gang returns after a long break to spoil, discuss, argue, and rank Avengers: Infinity War. The gang returns to blabber, argue, and discuss the latest big nerd movie Star Wars: The Last Jedi. True story! The gang returns to catch up two of the better comic book movies from this year and try to figure out which was better: Wonder Woman or Guardians of the Galaxy 2? 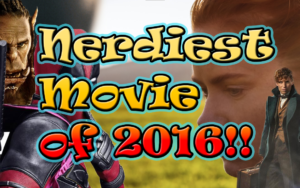 The gang gets together at the Dawn of Podcast Colon of Justice to discuss, debate, and argue over the NERDIEST movie of 2016. And this year, The Hobbit isn’t even an option. The boys return with special guest Sam to discuss the latest Star Wars movie: Rogue One: A Star Wars movie. Does Darth Vader show up? Who gets the angriest at fanboys? And who gets the least angriest? Monsieurs B and J take a little time to jabber about their latest HBO obsession, the fascinating drama Westworld. Such questions are answered as: Which one of us it the robot? Do spoilers hurt the show? And Evan Rachel Wood is good, but jesus, Anthony Hopkins and Jeffrey Wright aren’t getting award nominations?